Amazone made a few ripples when it announced it was going to produce a plough. To find how its new earth turner performs, James Rickard put it to the test. When it comes to plough choice in the UK, options are plentiful. Well established brands such as Kverneland and Lemken are always going to be on people’s consideration lists, and there is plenty of competition too from the likes of Greggoire Besson, Pottinger and Kongskilde. So why does Amazone want to join the plough party? Well, with about half of all crops in the UK still established using a plough based system, it was only logical for the German manufacturer to want a share of that action and add a plough to its portfolio. And with the plough back in vogue as a tool in the fight against grass weeds, culturally, it is always going to be hard for minimum tillage regimes to ever fully monopolise cultivation techniques in the UK. Coupled with the fact that the five/six furrow, mounted plough market in Western Europe accounts for approximately 10,000 machines per year, then the decision to add a plough also makes a lot of financial sense. 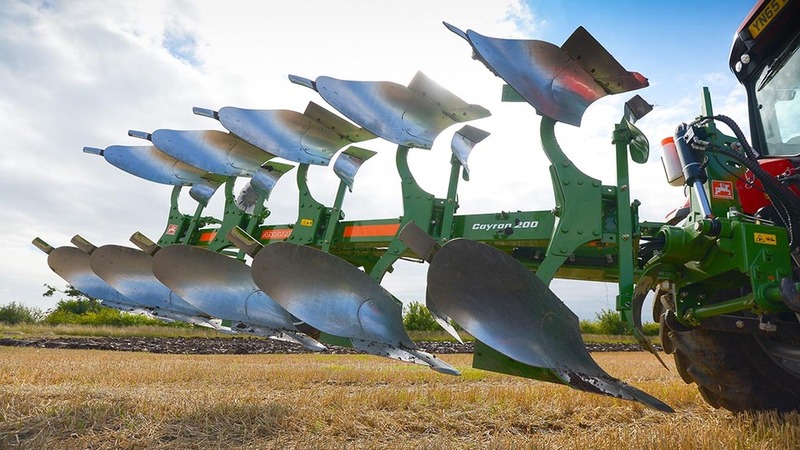 Strategically too, dealers selling Amazone equipment now have a full product portfolio to fill that gap once occupied by another, competitor plough franchise. Plough development started in 2011 with a clean sheet of paper and only one design brief to its engineers; to design the perfect plough. No pressure then. So has it done it? To find out, we hooked up to its 200 V model with hydraulic vari-width control offering furrow widths from 30-55cm. It is one of only two main plough models in the range at the moment, the other featuring manual furrow width adjustment, but both can be specified as five furrow or five plus one ploughs. Starting at the front, the headstock is rated to 240hp, yet, is still a relatively compact and accessible unit. One of its stand out features is a one-piece moulded, lower link cross shaft mounted in roller bearings. This allows the shaft to flex, putting less stress on the tractor and plough, and in theory, should reduce fatigue. It also has the added bonus of dampening the shock loads during plough turnover and avoids wear where cross shafts can often shear. And because it incorporates the shape of lower linkage balls into its mould, there is no need for any balls or lynch pins – four less bits to lose. Designed to spread forces evenly, the turnover shaft features 130mm diameter taper roller bearings at the front and rear of the shaft. Through the cavity of the shaft is routed the pipework, neatening everything up and eliminating any trap points. Three, double acting hydraulic services are required to control/adjust the plough, with pipes clearly colour coded to their various functions and include useful grips to handle them easier. 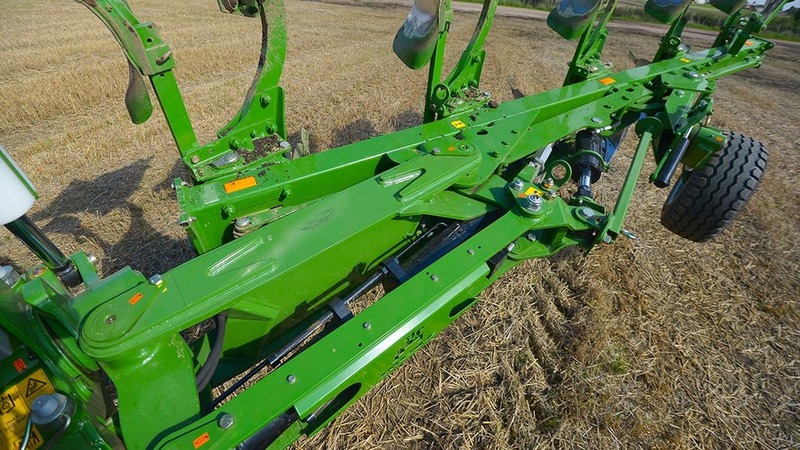 The backbone of the plough is a 200mm by 120mm, 8mm thick beam. For maximum rigidity and no weld distortion, every component is bolted to it. One of the firm’s key patents is the hinged bracket, or ‘console’ as Amazone calls it, which fixes the plough legs to the beam. 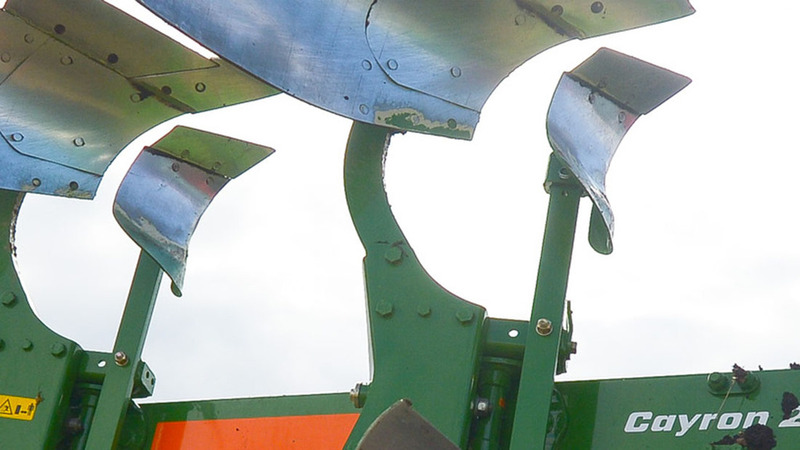 Rather than running a pin vertically through the beam, which the plough bodies would normally pivot around to adjust furrow width, Amazone has placed the pivot point on the outside of the beam. Essentially, one half of the hinged bracket is bolted to the beam and the other half to the plough leg. Again, another design element intended to equally distribute forces, says the manufacturer. The parallel linkage which adjusts furrow width also runs through cross slots in the beam. While this keeps things tidy above and below the beam, there is the potential for water and dirt ingress into the beam via the slots. Our model came specced with standard hydraulic adjustment of front furrow width and working furrow width. Front furrow width also automatically adjusts every time the working width is adjusted. A handy sliding scale on the headstock shows you the furrow working width. 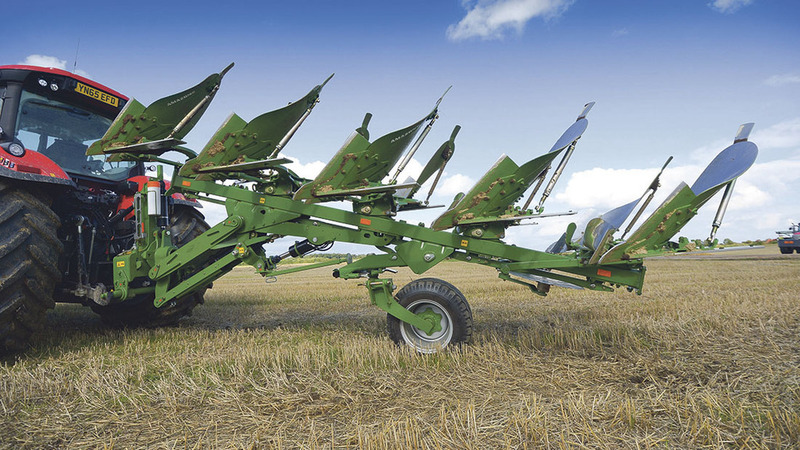 A very impressive design trait of the plough is its inherent ability to pull straight and true. 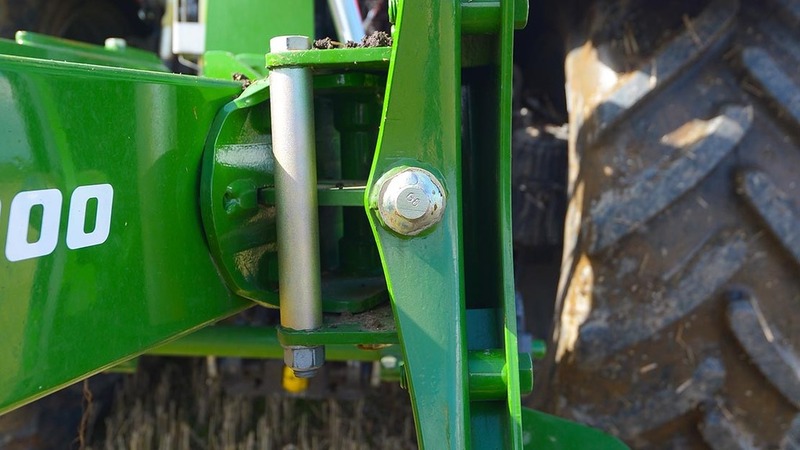 While you can screw-adjust plough alignment if necessary, only really needed if you add or remove a furrow, it is the adjustment of the integrated front furrow width and working width linkage mechanism which automatically adjusts how the plough pulls. No matter how much you adjust one or the other, it still pulls straight. Hands off the steering wheel and a straight pulling top-link was proof of the pudding. It is sure to have an effect on power requirement, wear and fuel use too. 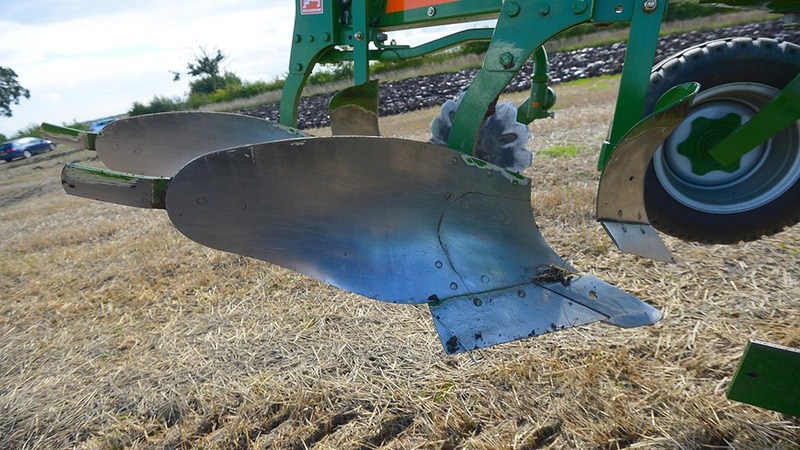 During turnover, the plough automatically aligns itself behind the tractor, making it more compact and reducing that throwing action which can de-stabilise the tractor, particularly on slopes. With 83cm of beam clearance and 100cm point to point distance, there certainly is plenty of space for trash, particularly useful with today’s cultural techniques such as greening and cover crops. It also allows higher ploughing speeds with less detriment to ploughing quality. To cope with the increase in material and higher working speeds, the plough’s mould boards feature a substantially enlarged front shin. Known as the C-Blade, they provide a large wearing area for material to travel over, which can be replaced, taking wear away from the main body. In addition, the plough points overlap with the wings, preventing objects, such as baler twine, from becoming trapped in the welded seams between the wing and the point. 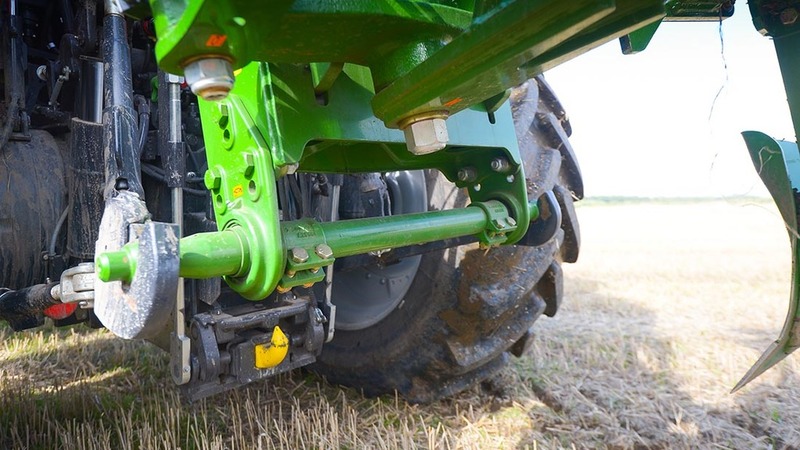 An option for the rear mould board is the X-Blade which makes a wider furrow bottom, enabling easier accommodation of larger tyres with less damaging effects to quality of work. Able to work to about a third the depth of the main plough bodies, skimmers on the Cayron are quite aggressive, again following the trend towards being able to cope with more trash and higher working speeds. 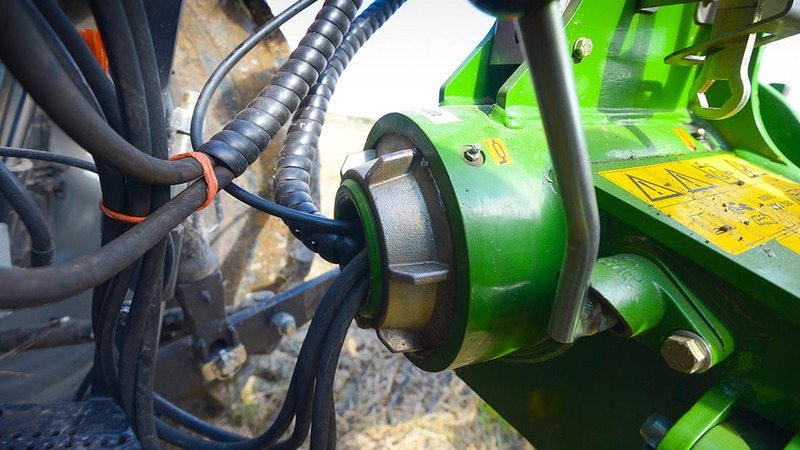 Working depth of skimmers can be adjusted in four steps via bolts - a solution not quite as convenient as some other plough makes, but are rigidly held in place. To advance or retard the timing of the skimmers, they can be moved backwards or forwards in one of two positions via bolts. A combi-wheel provides depth control and acts as a running gear for transport. With the wheel held in place by a pin, switching between the two modes is simple enough, but the wheel can take a bit of man handling. In transport position, the headstock locks to prevent accidental turnover. Running within the width of the plough, you can get right up to the edge of a field. Depth control is screw adjustable and a pneumatic cylinder provides dampening for the wheel during turnover. 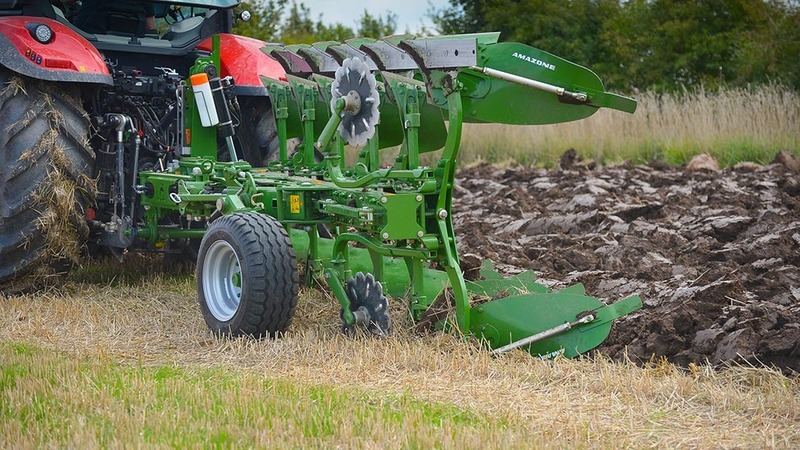 At first glance, the Cayron looks like any other reversible plough on the market. However, a thorough workout on some reclaimed Doncaster land, soon revealed the contrary. With its 19 patents, it features some stand out design elements. In particular is its natural ability to pull straight and true, its force-reducing flexible cross shaft, and oversized shins. Construction is impressive too, using an almost aircraft style technique to reduce and spread forces via fasteners instead of welding. Up until Agritechnica, options for the Cayron were limited so it was good to see two new heavy land bodies, the W35 and S35, and hydraulic auto-reset choices which will be available in spring. Overall, the 200 V is easy to set up, is built well and deserves to be on people’s consideration list.